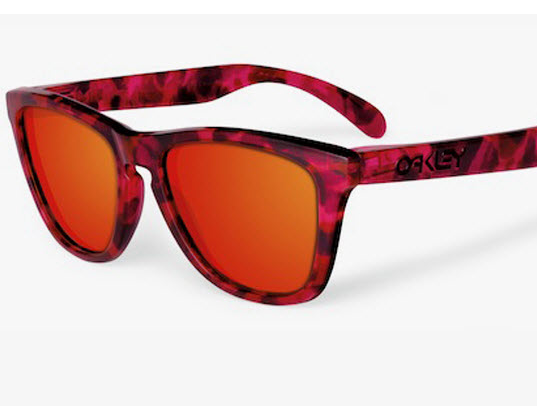 Let me get this straight - classic Frogskins silhouette, flamed out reflective lenses, with pink tortoise print frames? Ok - I'm in. Available at Oakley dealers soon (mid April) - pic via the Feed.